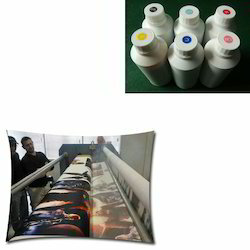 Manufacturer of a wide range of products which include sublimation ink for printing industry. We are instrumental in offering premium quality Sublimation Ink for Printing Industry to our prestigious supporters. Handled utilizing most recent devices at the sellers' end, these inks are known for their high adequacy and improved timeframe of realistic usability. By utilizing thorough quality confirmation test, we guarantee that the premium quality is kept up at all times. Looking for Sublimation Ink for Printing Industry ?